Now that it's finally starting to feel more like Spring (sort of...) I've been a little obsessed with finding the perfect pair of sunglasses. I know I already have quite a few pairs but it's a bit of a weakness... Plus, since I'm not buying clothes right now so accessories are the only area I can really indulge ;-) The two pairs that have captured my attention are the Karen Walker Super Duper's and Celine New Audrey Sunglasses. After seeing the Karen Walker's Super Duper's on a number of bloggers recently (i.e. 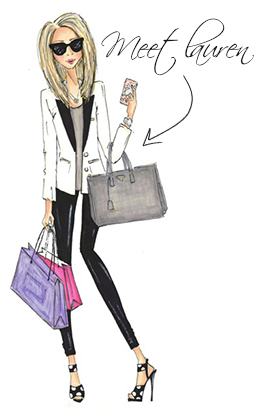 Blair Eadie from Atlantic Pacific and Krystin Lee from Suburban Faux), I've become slightly obsessed with them. They have a subtle rounded shape that feels oh-so-fresh and stylish. And the arrow detailing on the sides (which matches the case) is really fun. I just ordered the baby Audrey's to try. The classic were too big on my face. 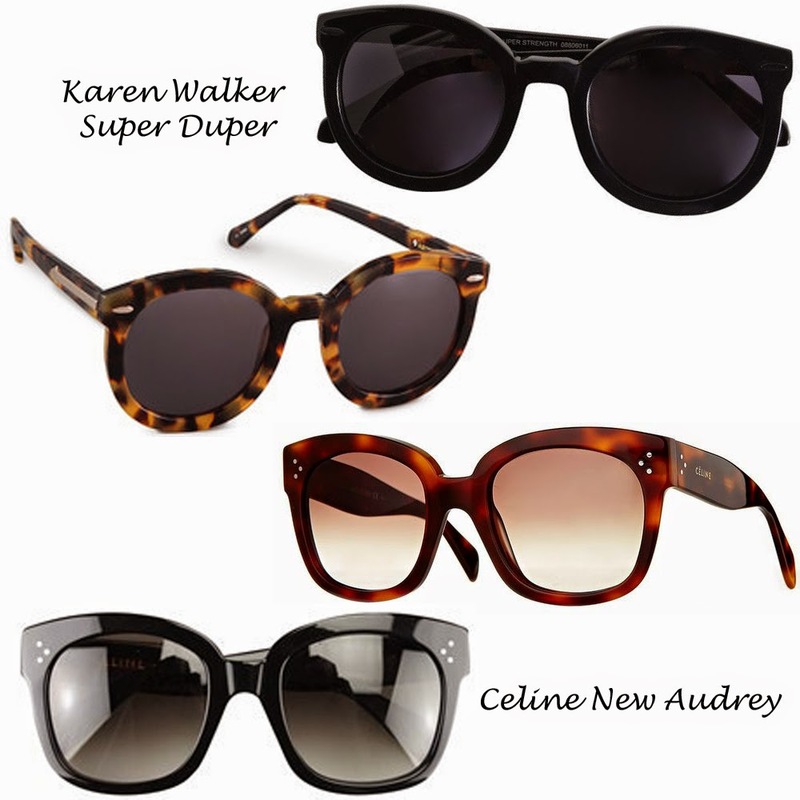 Wish I could try on the new Audrey's and see how they look! It's hard because there is no place close to me to buy them so I have to hope they will look ok! What did you choose? I have both the classic Audrey's and the New Audrey's which are a bit smaller. They're both great! Good luck with the baby Audrey's. I took a chance with the classic Audrey's when I ordered them too.